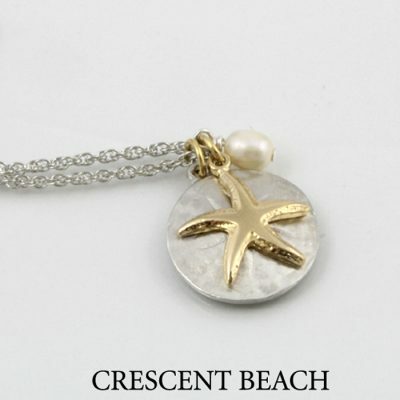 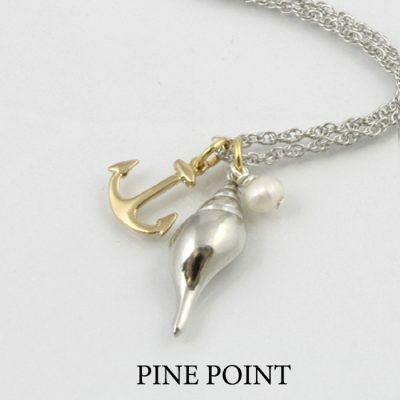 Married metals Crescent Beach pendant with chain. 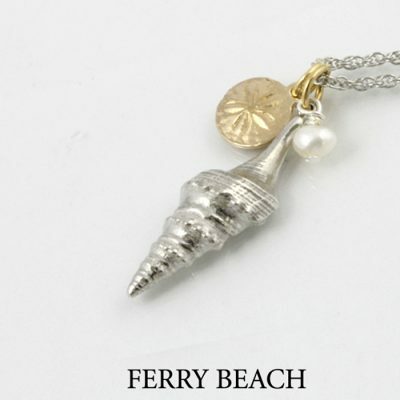 Designs inspired from the beaches of Maine. 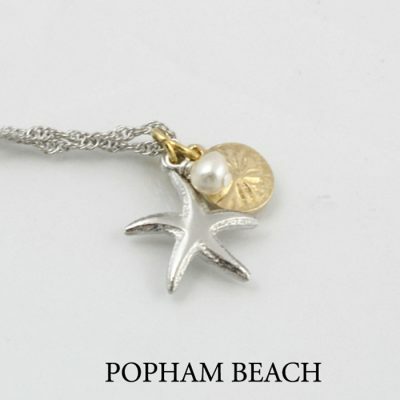 Pewter Sand dollar layered with a gold plate starfish and pearl accent on an 18″ rhodium chain. Add Sand Dollar Drops or Starfish Drops to make an ensemble.